Provide comfort for the family of Lois Dougherty with a meaningful gesture of sympathy. FISHKILL – Lois Marietta Dougherty, a local area resident since 1965, passed away on Wednesday, April 3, 2019 at St. Luke’s Cornwall Hospital in Newburgh. She was 81. Daughter of the late Leonard and Carrie (Clark) Kellner, she was born in Brooklyn on September 15, 1937 and grew up in Middle Village and Queens Village. In 1958, Lois received her nursing degree from St. Catherine’s School of Nursing in East Williamsburg, Brooklyn. After her relocation to Dutchess County, Lois began working as an RN for Fishkill OBGYN in 1976. She also dedicated several years to working in the cafeteria at John Jay High School in East Fishkill. In 1983, she continued her nursing career at the Dutchess County Department of Mental Hygiene, where she remained until 2010, retiring at the age of 72. Lois was a longtime member of Trinity Episcopal Church in Fishkill, where she served as a member of the church altar guild and in the soup kitchen. She loved nature and animals, and especially loved her pets and her family members’ pets as well. In addition to her parents, Lois was also predeceased by her beloved daughter Amy Jeanne Schewiger in 2006. Survivors include two daughters, Laura E. Kraft and Caroline M. Morrison; her grandchildren, Jenny C. Kraft, Timothy J. Schweiger, Joshua N. Schweiger, and Carrie M. Morrison; and many loving cousins whom she considered siblings, along with their children and families. Lois is also survived by her cherished cats, Angel and Lily as well as her “grand dogs”, Brinkley and Shadow. Calling hours will be held from 6 to 8 p.m. on Friday, April 12 at Trinity Episcopal Church, 1200 Main Street, Fishkill. A funeral service will begin at 9 a.m. on Saturday, April 13 at the church, with The Rev. Garrett M. Mettler officiating. Interment will follow at Fishkill Rural Cemetery. Arrangements are under the direction of McHoul Funeral Home of Fishkill, Inc., 1089 Main Street, Fishkill. 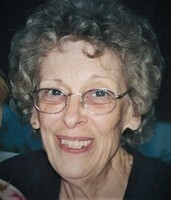 For online tributes, you can visit Lois’ Book of Memories at www.mchoulfuneralhome.com. Consider providing a gift of comfort for the family of Lois Dougherty by sending flowers.